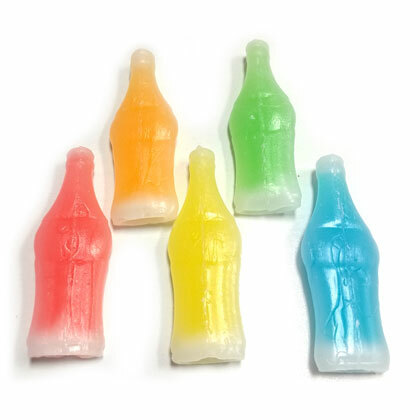 Syrup filled, chewy edible wax bottle shapes filled with colorful sweet liquid. Approx. 3.5 pieces per ounce. 6 oz bag.